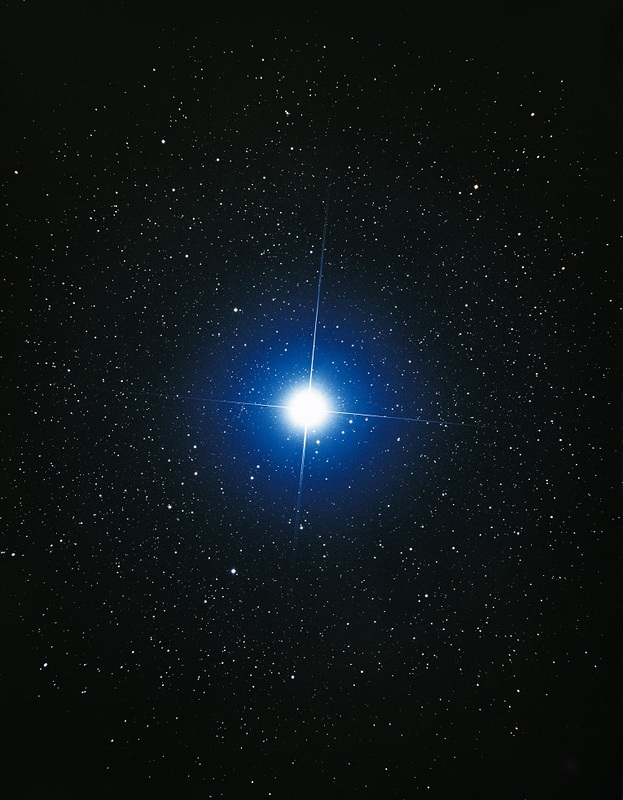 Two Winters ago, I saw SIRIUS through a friend’s telescope, and felt immediately connected to the bright blue star. Hot Dog Days of SUMMER are on NOW, and we’ve certainly had an ‘extra dose’ of scorching heat lately, with wildfires starting. Synchronistically with SIRIUS Rising, today 08 / 08 is also the half-way point of MERCURY retro, a.k.a. ‘Point of Enlightening Insight’ where MERCURY retro steps behind the SUN. 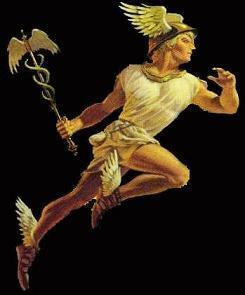 Thus far, with MERCURY ahead of the SUN, the mind (MERCURY) could have easily run the show. Purpose of each MERCURY retro phase is to ‘lasso’ the monkey mind a.k.a. MERCURY in, and let Spirit, Consciousness, and the Heart (represented by the SUN) direct again, and the mind be in its service. This half-way point with the MERCURY – SUN conjunction is also a ‘New Mercury’ (like New Moon) – a new way of communicating with Love (LEO), starting from the inside-out. …while hot LEO Days (‘DOG DAYS of Summer’) are here, in the Northern Hemisphere. Welcome to * You and Your Star-Dog @ Sirius Rising on 08 / 08 THU see the FB event. Last minute registration (well, until 1 pm) welcome! AUGUST is Client Appreciation Month, at the occasion of the 18th anniversary of my Astrology practice! Come on over, or let’s meet online, for a substantially discounted (11% – 22% – 33%, depending on how long you’ve been my client) Astro session. And let your friends know! Our intimate Astro hubs (6 – 10 participants) are a treasured way of being personally seen and involved – more commitment, a personal sense of community, and deeper effects. RE-posting now, on the start day of the MERCURY Retro ‘Storm’. But what’s with all the technology and communication glitches (or surprises!) that have sneaked in again lately? All in SAG this time (from 29° back to 13°), from Dec 2 – 22). And hey – perhaps an overdue and cosmically well timed adjustment! Our good old messenger / trickster friend MERCURY has since Nov 15 been in the pre-retro ‘shadow’ (i.o.w., has crossed the 13° SAG mark from which it will go direct again on Dec 22). Next phase: MERCURY goes into stationary ‘U-turn storm’ from today Nov 28 on. MERCURY will start its seasonal retro loop on Dec 2 which goes technically until Dec 22. Yep, pre- and round Christmas this year is M-r affected! What’s Special about the upcoming MERCURY Retro? It happens all in SAG (and MERCURY is in ‘exile’ there, the Archetype isn’t ‘naturally at home’ there) – the Zodiac energy relating to truth, bigger picture, studies, politics, religion, foreign affairs – where mercurial / mental themes are: “I know” and “I grow”. “I know better.” (and am not willing to question my beliefs and learn); being arrogant, righteous and judgmental, “my way or the highway”. I.o.w., self proclaimed ‘knowers’ could mess things up. 1) For starters, don’t believe everything you think! (A timelessly relevant bumper sticker) or read somewhere. 2) RE-cognize ‘old stories’, and question your beliefs! Check out The Work by Byron Katie, on this note (“Is this true?” “How do you know this is true?” “Who would you be without this belief?”). 3) What do we know, and make judgments based on? Good to do fact check, talk to others, be curious, ask, see for yourself…: The idea is not the territory. 4) Don’t follow ‘false prophets’ and crusaders. See clearly what the agenda is, and where it leads to. 6) Ask Inner Guidance and the Universe: “Show me more about…. I would like to understand this… better. 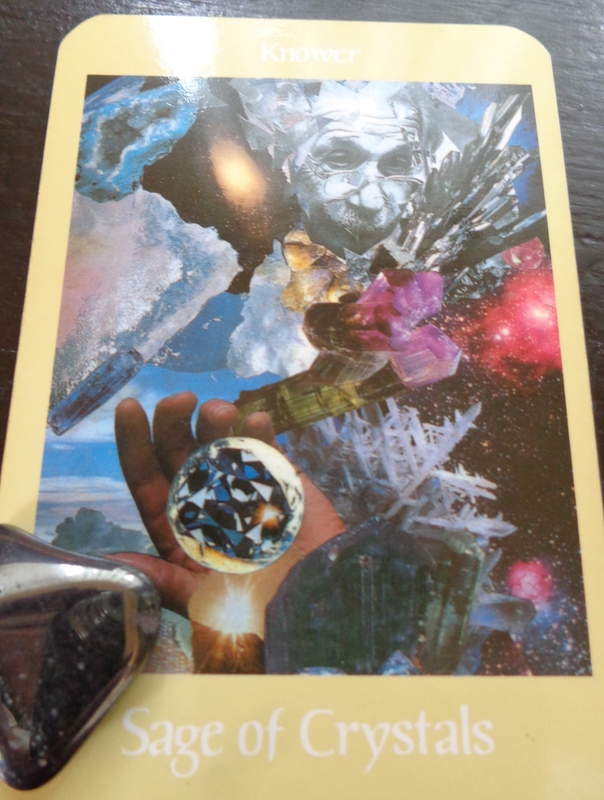 Thank you!” And see how the Universe speaks to you and your Higher Self – can be so amazing, esp. under MERCURY retro, how the dots are being RE-connected to the Bigger Picture. To ‘be done’ with old stories and beliefs, and not buy into fear based agenda of patriarchal and authoritarian figures or programs (anymore). What’s the High Road? 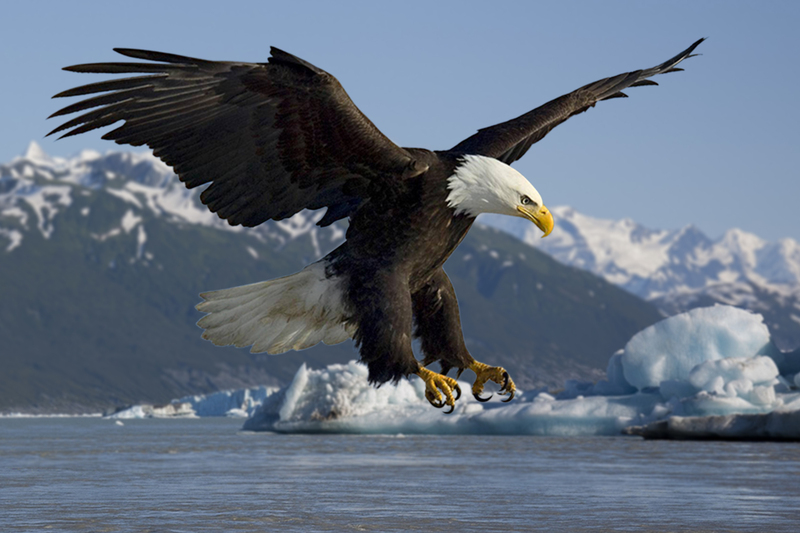 What would true Freedom and your Heart Wisdom say? “More is better.” (excess that’s unmanageable and unsustainable). 1) Esp. for U.S. Thanksgiving and global Christmas, Hanukkah, and other ‘Return of the Light’ festivals: If it has gotten overly materialistic and stuff-ocating for you too, let’s backtrack, RE-member and live by the Spirit of the Festival. 2) How can we go (back) into the true-blue SAG Spirit of generosity from the Heart, trust, and: a good sense of humour / comic RE-lief? 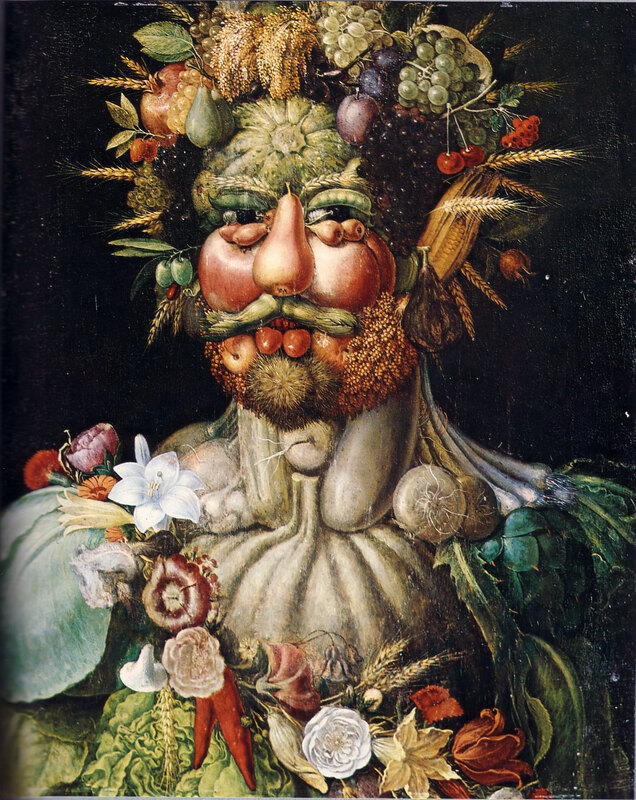 3) How about down-time, real-life RE-connections, and downsizing on the material excess (rather than becoming seasonally frantically acquisitive) – a counter- (mainstream) cultural RE-freshing personal RE-volution? 4) What’s a truer expression of abundance, gratitude, trust, and fun? This could turn into frenetic overwhelm, or, on the High Road, be a liberating experimentation in letting go of overwhelm through agendas and ‘media showers’, as we open up to receive miracles and gifts along the way (CHIRON in PI), and a fresh approach to being authentic (URANUS in ARIES). 6) Both MERCURY (from Jan 12 on, until Feb 1) and SATURN (from Dec 19 on, until end of 2020) will go from SAG into CAP anyway, where Less is More, and it becomes clear what’s manageable, and what the priorities are. So, why creating more unmanageable excess in the first place, if we know we need to deal with it afterwards??? 7) Less excess, more real joy and fun! Nature is always growing, naturally abundant, and so good for our inner growth and gratitude! This MERCURY Retro is very RE-levant for the U.S. It starts it retro trip at the very end of SAG – the ‘Integrity Point’ cusp to CAP – where SATURN also sits presently. That’s not far from Donald Trump’s Lunar Eclipse (yep, he was born under one) MOON / South Node which MERCURY will cross 3 times (Nov 21 / 22, Dec 12 / 13 retro, and Jan 4 / 5). Plus: MERCURY ends its retro trip at 13°00′ SAG which is almost exactly on the U.S. Ascendant at 12°12′ SAG! May it bring the country back to its true identity! With any MERCURY retro, and also this one in SAG it’s a precious opportunity to get out of the head, check in to see who’s that thinker, tap into pure awareness, and SEE WHAT IS. Seeing is Believing (which is what SATURN in SAG with its reality check would also say), and / or: Seeing is UN-Believing! As always, the MERCURY retro cycle starts with the ‘Epimethean’ phase (first half – this time until Dec 12) where old (epic) stories, memories, and patterns show up for a REason (yet unknown, REvealing itself in the journey). With the SAG energy of M-r, it’s good to stay open minded and intuitive, and invite a world of synchronicities, look at things again, in a fresh way, and: get retro-actively inspired (by the past, by something overlooked). So, it’s time to REgenerate the mind (MERCURY), and REnder it more conscious (SUN). It is also called the ‘Point of Enlightened Insight’. URANUS (the Awakener Archetype) is also in ‘dialogue’ with MERCURY retro (via Fire Trine, exact Nov 25 pre-retro, Dec 10 under M-r, and Jan 7 post-retro). Plus, URANUS will be stationary in Dec / Jan (since it will go from retro to direct, on Jan 3), which makes for Dec and Jan being quite a wake-up, shake-up phase. It’s also a bright, liberating energy for break-throughs into more freedom, esp. freedom from mental patterns, and freedom for a whole new way of showing up and being present with what IS (ARIES). Check out what’s new and exciting! And how YOU are NEW in every moment! The second half of M-r (Dec 12 – 22) is the ‘Promethean’ phase, where new insights and new consciousness can be creatively carried forward. Like myself, you might have already noticed glitches over the last while that required adjusting and clarifying communication, REsending emails, and making sure you and your partner are talking about the same thing. The changed mode could have also brought a REnewed openness for surprises and aha effects, as we trust intuition, truly address what needs to be talked about (rather than ‘pseudo talk’), are able to read between the lines, and pick up now what wasn’t communicated before, and where loose ends were left open. As we make suggestions or are asked to change the original ‘plan A’ things get a little ‘mixed up’, which REquires and opens us up for flexibility (good thing SAG is a mutable sign, and bringing in fun certainly helps too). 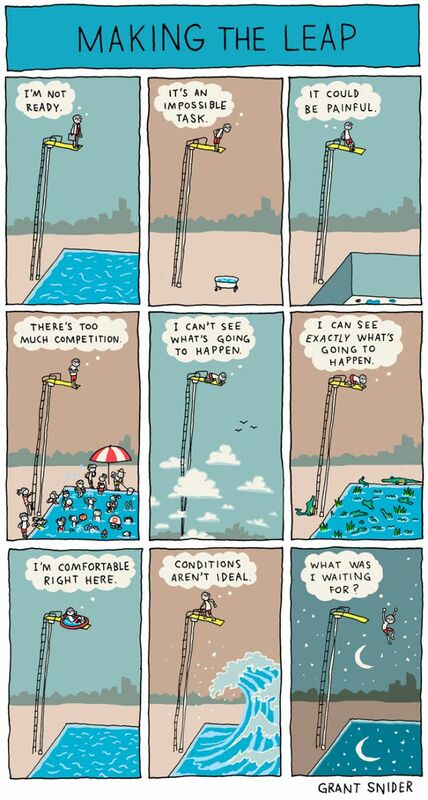 Often, we are afraid we might inconvenience others, but a different plan might work best for everybody anyway. Funny (it might appear overwhelming – NEPTUNE in PI – and chaotic – URANUS in AR) how a change in one piece of the puzzle can create a domino effect, which shows our intrinsic connectivity in a web of energy and information (the www is just an obvious expression of that), and the possibility for ‘spontaneous mutation’. Good to stay fluid like quicksilver (MERCURY’s metal), intuitive, and ride the wild and adventurous waves of Life, a la NEPTUNE in PI / URANUS in AR. So, what’s the MERCURY Retro Timeline? ‘simply ‘ listed, admittedly more for the ‘Astro Insider’ – but maybe it helps you as a guideline, in connection with the points above. Nov 15: Pre-retro ‘shadow’ started. Nov 24 /24: MERCURY in SAG in square with CHIRON retro / stat. in PI, and trine with URANUS retro in AR (#1 of 3). Nov 27 /28: MERCURY conjunct SATURN (#1 of 2) in late SAG. Nov 28: Pre-retro ‘storm’ starts. Dec 2: MERCURY goes retro (until Dec 22) at 29°SAG. Dec 4: The MOON in GEM opposes, and MARS in LI sextiles MERCURY retro / SATURN in SAG. Dec 10: MERCURY retro in SAG in square with CHIRON stat. in PI, and trine with URANUS retro / stat. in AR (#2 of 3). Dec 12: MERCURY retro conj. the SUN in SAG – Point if Enlightening Insight. Dec 15: MERCURY retro conj. VENUS in SAG. Dec 19 – 27: MERCURY stationary in SAG in square with NEPTUNE in PI. Dec 22: MERCURY goes out of retro at 13°SAG. Dec 28: Post-retro ‘storm’ ends. Jan 7: MERCURY in SAG in square with CHIRON in PI, and trine with URANUS stat. in AR (#3 of 3). Jan 12: MERCURY crosses the ‘Integrity Point’ from SAG to CAP. Jan 13: MERCURY conjunct SATURN (#2 of 2) – in early CAP. As you see, this MERCURY pre- / retro / post-retro phase moves and shakes a LOT. Good thing SAG is mutable and hopefully adaptable! It usually takes a week or so to adjust to the different mode. Hopefully, you’re taking the pre-retro shadow phase as of mid-November as an adjustment, rather than being ‘hit’ by the wild ‘storm’, or stationary stuckness (can be either and both, in paradoxical trickster fashion), from end of Nov on. 2) Be mindful, and lead from the bigger vision. There’s a tendency for the mind to be distracted and all over the place (amplified by MERCURY in SAG, and NEPTUNE in PI), to loose and misplace things and thoughts that later have to be RE-trieved again. Avoid getting scattered and disorganized, collect the mind ‘pieces’, be present with any situation and function ‘at hand’, and don’t loose sight of what practically works and matters. The apparent priority of urgent ‘little’ things and ‘small stuff’ can easily be a distraction and waste of energy. Practice coming back to the bigger vision, and lead from there (MERCURY / SATURN in late SAG). 3) Retro is an inwards / backwards oriented energy. Would be a good time to RE-treat, and RE-visit meditation and mindfulness. Also an excellent chance (if not necessity) to deal with ‘old unfinished business’, ‘loose ends’, and to clear communication themes from the past, often carried over from a previous M-r time (last one was Aug / Sept 2017 in VIR / end of LEO which was all about self awareness, and living from love / bringing our love into service and daily practice). The RE-ason for me pointing out all these RE-activities: During Mercury retro (which also has a karmic undertone), we less likely get away anymore with being sloppy, and with procrastinating or neglecting RE-sidual communication issues with people from the past. They come up like a mirror. Talk about what RE-ally matters – in an inspiring, generous, and fun way. 5) Choose the clearest and most direct mode of communication available. Phone rather than messaging / email (YES! ), meeting in person rather than phone / text, to make sure an actual dialogue happens (rather than just your factual monologue, with the assumption you know what they think, or they know what you think). Consider communicating in several ways and via different media, to make sure the message comes across. Keep in mind that because people’s minds can be all over the place now, communication might be scattered and incomplete, or prone to assumptions: “I thought you got my email!! !”, or actually a monologue: Are you just thinking out loud as you talk, or are you actually suggesting something to me? 6) Be mindful how you communicate with others. Put yourself in their position, and take ownership and responsibility for your mental processes, rather than blaming and judging (possibly based on lack of communication). 7) Be clear and precise with commitments and agreements. Double check whether you have been understood correctly, and RE-peat / RE-phrase back to them too. Avoid signing an agreement before you have all the necessary information (often only after MERCURY retro is over!). As we act more intuitively and out of the ordinary, we let the spontaneous intervention of the Universe show us our interconnectedness! Way cool and fun! 10) M-r is a good time to RE-connect with people you have lost sight of. With the SAG flavour, be clear and come from the Heart, and connect with people and interests that are fun and Heart-warming. In any case, trust your intuition, and let yourself be surprised by where it leads (SAG) when you speak to them. 11) The themes and areas of life (partners, children, career, groups, etc.) that THIS retro phase brings up for YOU depend on the particular planets and house that M-r activates in YOUR personal birth chart, in other words where SAG is situated. I’m happy to check that our for and WITH you. Maybe it’s time to come for an update / cosmic tune-up for your inner alignment and guidance anyway? 12) When ‘glitches’ occur, be fluid and flexible like quicksilver (MERCURY’s metal), think “shift happens”. What could be the opportunity in this mishap? And what’s actually funny about this (SAG)? RE-frame your way of thinking about things. And entertain the possibility that you might have subconsciously ‘arranged’ a wild alternative to the original ‘plan A’ which – who knows? – might lead to something new and better and more fun than what the ‘normal’, ‘usual’, ‘regular’, and apparently most ‘efficient’ mind-in-rut-mode could have come up with? ….feel welcome to get in touch with your Astrologer. Day of Enlightening IN-Sight – ‘New MERCURY’. Mind aligned with Consciousness and Creative Spirit. MERCURY retro is half-way today! Which means: The SUN is ahead of MERCURY again! In other words, the MERCURY Mind has been ‘lassoed in’, and is not leading the Show anymore. SPIRIT, CONSCIOUSNESS, the HEART is! ‘Old stories’ (which the first half of M-r, called ‘Epimethean’ phase has brought up) turn at this ‘Point of Enlightening Insight’ into New Vision and Creativity from the Heart (in the ‘Promethean’ phase of M-r). To bring the Mind again into alignment (esp. now in VIRGO) with Consciousness. ‘Golden Boy’ with wheat sheaves (very Mercury in Virgo) and torch (hmm, also Promethean), on top of the MB Legislature in Winnipeg. Plus: URANUS, the Planet associated with Prometheus, and Awakener Archetype is – clearly 🙂 – so strong this month, since it turned directions on AUG 2, on the cusp from ARIES to almost-TAURUS. It will enter TAU next year, quite a shift, after 7 years in AR. URANUS can rattle and shake us, shock and disrupt, is a wake-up call, and ultimately a Call for AWAKENING. Any exciting and enlightening breakthroughs for YOU today / these days? Esp. around what all the ‘old stories’ that Mind is telling you have to do with? And how Spirit responds? Where / how does the creative Spirit shake you up to be fresh and new and YOU?! This is to RE-alizing that Mind is like the clouds passing by like a curtain in front of the Blue Sky of Consciousness! Yet don’t look at the SUN directly! 🙂 – it’s within anyway! Still ON until AUG 31. * AR – LI Harvest Full Moon and SuperMoon(!) / TOTAL LUNAR ECLIPSE, with LILITH on the Equinox Point (Sept 27 / 28) :: Radical Renewal in Right Relationship. Entering New Dimensions. Radical Renewal in Right Relationship. Balance Leads to Authentic Action. The SuperMoonTotal Lunar Eclipse on Sept 27 / 28. 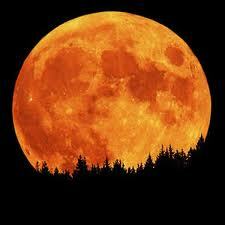 It will be also the Harvest Moon (closest Full Moon to Fall Equinox). The Full Moon will be exact just after Moonrise on the West Coast – see Astro chart below. 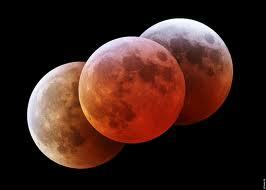 Some call it ‘Blood Moon’ – ecliptic red, not just orangey Harvest Moon. Definitely a sight to behold! Here is a first very brief nice illustration, with a few interesting facts about the SuperMoon Total Lunar Eclipse Tetrad, and how rare it is. That’s the case when the Moon is closest to the Earth (also called: at its perigee), as it turns into a Full Moon. The areas on the Earth where the Eclipse is visible, and where its path will be overhead tend to be more affected by the energy of the Eclipse, for the next months to come, and beyond. The path is quite wide, spanning the Americas, the Atlantic, Greenland, Arctic, Antarctic, Africa, and Europe. Can’t help thinking again of the UN Climate Conference in Paris end of Nov / early Dec http://www.cop21.gouv.fr/en. The rising SuperMoon looks larger and brighter, and the Total Lunar Eclipse adds to the picture! Lucky us, here on the West Coast, to be able to see the SuperMoon rise – A little pay-off though (ahh, with the Libran energy there’s gotta be give and take J ): From our perspective, the Eclipse will already have started when the Moon rises. Most importantly though: Let’s hope for clear skies – weather looks promising. This is also the last Total Lunar Eclipse of FOUR in a row – a Tetrad. Another rarity! Remember? The first three eclipses of the Tetrad took place on Apr 15, 2014, Oct 8, 2014 and on Apr 4, 2015. In other words, all of these Total Lunar Eclipses happened in LI – AR, with the Totally Eclipsed Moon either in LI (Apr 15, 2014, and Apr 4, 2015) or in AR (Oct 8, 2014, and Sept 27 / 28, 2015). Eclipses connect with the Lunar Nodes (they occur when the SUN and the MOON are lined up with the Lunar Nodes – you can see that in the Astro chart below), and it is striking that the Tetrad was completely contained in the 1 ½ year period of the South Node in AR, and the North Node in LI – from March 2014 until Oct 2015! What’s the message re: the soon ending phase of the South Node in AR and the North Node in LI – since we’ve gotten it presented 4 times in a row, with TOTAL Lunar Eclipses!? By the way, the Nodes travel backwards in the Zodiac – you might have wondered how come we are at the end of the AR – LI phase now as the Nodes are at the beginning of these signs. A strong early LIBRA incentive, via SUN, North Node, Lilith, and Mercury retro, approaching the SUN. Any opposition, esp. a Full Moon (in all the 4 Tetrad Eclipses, including the upcoming one) has also a LIBRA undertone. Balance, consideration, reconciliation of ‘opposites’, best of both worlds are the themes. :: Well considered choices, based on what’s a genuinely good match and synergy for who we naturally are (LILITH in LI) receive a boost. :: Primal and stressful adrenaline rush inducing fight / flight reactions get a thumbs down, and are on the ‘outflow’ and being released now. Check out how much you have been in this place, often based on fear or scarcity or survival mode. :: Time to embrace the invitation into partnership, synergy, win-win, balance (incl. balancing the inner Masculine and Feminine). :: A balance, and best of AR / LI can look like: Authentic choices, being fully yourself while partnering up with who or what is a good match for you. :: Showing up (AR) as a Warrior of Peace, Fairness, Justice (LI). This Eclipse is very RELEVANT for everyone with SUN, MOON, AC, PLANETS in (esp. early) ARIES and / or LIBRA, but also in (esp. early) CANCER / CAP. PLUTO’s (the big transformer!) turnaround that just happened last night, Sept 24 / 25 is a huge catalyst for this Ecliptic liberating and re-balancing effect. This month’s culmination of cathartic, catalytic energies through the Eclipse connects with a parallel time in Spring, as we had a Total Lunar Eclipse on April 4 – while PLUTO was about to go retro (on April 16). Now it’s also Harvest Time of this process. An inner, preparatory process it’s been, with PLUTO retro since April (every year, by the way, over the last years, PLUTO goes retro in April and direct in Sept.). In mid CAP where PLUTO presently sits – loosely squaring the Eclipse axis in AR – LI, we’ve been faced with what sustains and what doesn’t sustain our own life / survival (AR), and the survival of life forms incl. human life, on Planet Earth, and what is required to keep the Balance (LI). Which of course means in personal, practical terms: Work / Lifestyle / Relationship / Wellness choices that bring or bring us out of balance. In collective terms, communities and countries, humanity as a whole is faced with choices – NOW (AR – LI). Spiritually – influencing everything: Balance in the Equinoctial Still-Point, and in the inner Hub of the Wheel is what allows for radical liberation (URANUS in ARIES, approached by the MOON) and awake presence in the NOW. In the meantime, low vibrational ARIES qualities that sap precious life energy (fight-flight, rushing, competitive and stress mode, me-first, egotism, survival mode, the war-zone of life, war itself) are being released with this Eclipse. Note: released, reads as: they do come out of the system. The Emergence of and Awakening into a new Consciousness, some call it Ascension, is being birthed: AR SuperMOON / PLUTO / URANUS. The ARIES MOON will square stationary PLUTO about 13 hrs after the Eclipse, on Sept 28 at 8:56 am PDT, and will connect with URANUS about 23 hrs after the Eclipse, on Sept 28 at 6:30 pm PDT. Keynote: The Capacity for Self-Transcending. This is the symbol of the desire to reach a higher level of existence, of pure aspiration or devotion, of bhakti. What has emerged in the first phase of the process of differentiation is becoming aware of the possibility of further up-reachings. The principle of ‘levitation’ is seen as one of the two essential factors in evolution. The emergent being glorifies and deifies it, but it is still only an ideal. At this stage, nevertheless, the whole being experiences a childlike longing for its eventual realization. What a signature to activate our raw, childlike qualities (AR) of up reaching, innovate and create from a new dimensionality! As we step into relationship (LI) with that born-NOW quality and become it (AR), we show up as we are, ‘naked’ and genuine. SATURN in SAG in trine to the AR MOON supports the Self to inspire and ‘shoot from the heart’. SATURN’s sextile to the early LI stellium shows how this can be very synergistic and create authentic partnership. The Full Moon will be exact on Sunday Sept 27 at 7:51 pm PDT – just after the maximum Total Lunar Eclipse, at 7:47 pm PDT. Here is the AR – LI FULL MOON chart (set up for Victoria BC, our ‘usual’ reference point), with the MOON / South Node in the 12th house (just risen), not far from URANUS, the SUN, LILITH, North Node, and MERCURY retro in LIBRA in the 6th house, and PLUTO sitting stationary (just out of retro, as of Sept 24) right overhead (from West Coast perspective) at Full Moon / height of Eclipse time, squared by MERCURY retro in LI. What does deep, timeless, soulful (PLUTO) inner authority say to all this? Where is integrity as we meet the challenges of our time? Beyond mind games (which MERCURY retro shows so well)… the mind can make a case for anything – watch and catch inner debates (MERCURY retro in LI). The time is also near when MERCURY meets the SUN – Sept 30: The ‘Day of Enlightening Insight’, and ‘New Mercury’. Mind meets Consciousness. 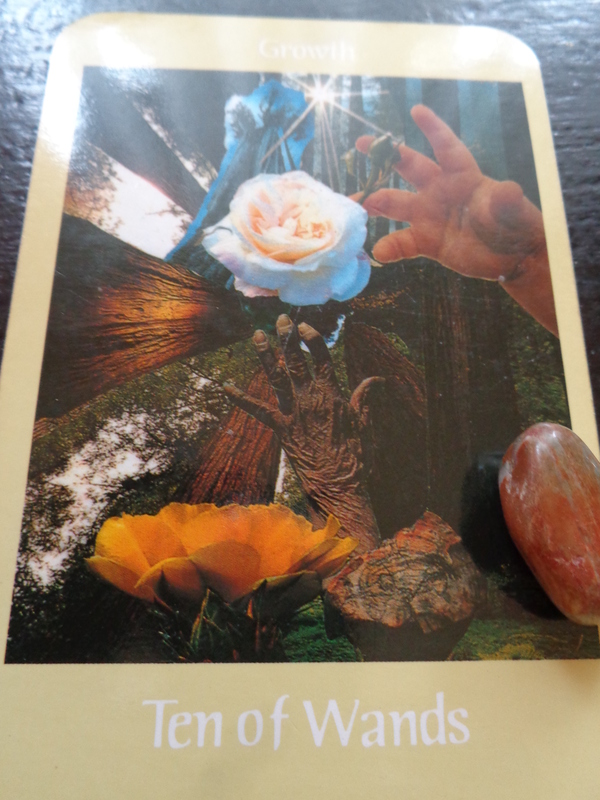 An important RE-balancing effect: Spirit can be rather in the ‘driver’s seat’ again, rather than Mind running the show (Mercury retro is all about that). And isn’t it interesting that Mercury goes the furthest retro to and direct again from 0°55’ LI – that’s right at the first degree of LI where the North Node will be on the Eclipse! The ‘Perfect Balance’ Point again. “IN A COLLECTION OF PERFECT SPECIMENS OF MANY BIOLOGICAL FORMS, A BUTTERFLY DISPLAYS THE BEAUTY OF ITS WINGS, ITS BODY IMPALED BY A FINE DART. May our journey with Mercury retro (and the North Node!) reveal more insights about this theme! Many blessings for the HARVEST FULL MOON TOTAL LUNAR ECLIPSE! On a practical note: Could you use a MERCURY RETRO Surviving & Thriving Kit, now as we’re right IN it? 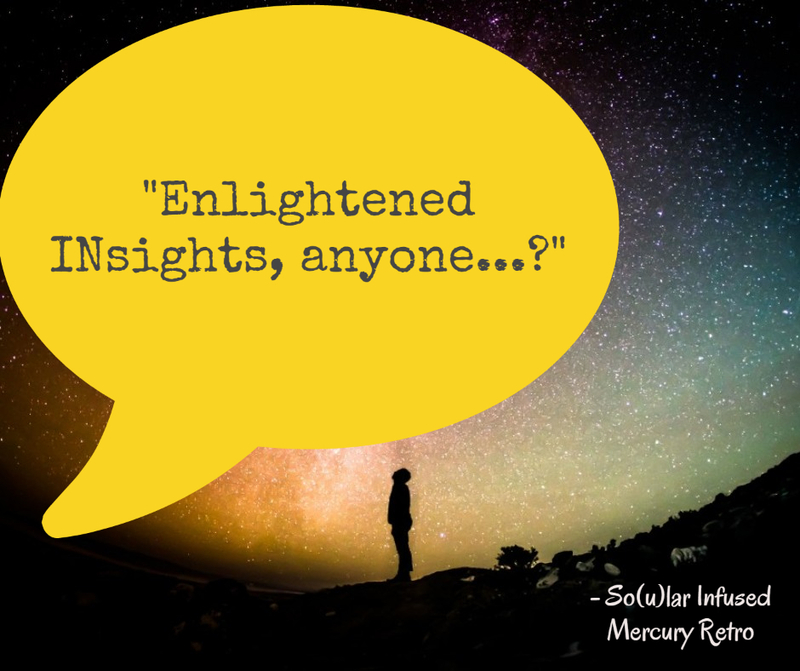 Half-Way Mercury Retro: Enlightening Insights?! 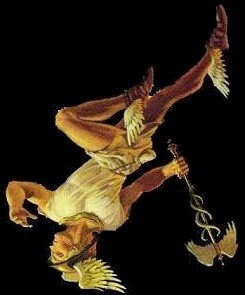 Needless to say (here it comes anyway): Gemini is ruled by MERCURY – the divine Messenger Archetype. Breathing, thinking, speaking, writing, singing (the transition from the Taurean voice for melody and sound to the lyrics and message of a song) are Gemini expressions, just as getting from A to B – ideally swiftly J. With the emphasis on diversity, differentiation, discussion, vive-la-difference, ‘what’s new?’, ‘what else?”, we can easily get distracted by any ‘moving object’ and new piece of information that comes along the ‘ticker’ (watch that FB scroll pulling you in… ), and life can get superficial and scattered. Too fast to go deep…? Mercury in Gemini represents the smart intellect, vs. Full Moon / Saturn retro in SAG inner knowing and intuition. As you are probably aware of, Mercury is presently retrograde (check out the attached article if you’d like to dig into the M-r theme more profoundly), since May 18, and until June 11. Yesterday, May 30, Mercury retro ‘hit’ the half-way point of this present M-r phase, as it went ‘behind’ the Sun in the Zodiac. In other words, Mercury, at the onset of M-r when it’s furthest ahead of the Sun, got ‘lassoed in’, to be behind the Sun again. Astrologically speaking, the SUN, as in: Spirit, Heart, Consciousness, is ‘leading’, and Mercury, as in: Mind, Thinking, Communication, is following again. That’s the whole point of each M-r phase, to bring Mind back to serve Consciousness. This half-way point of the M-r phase is also called the ‘Point of Enlightening Insight’. Here, the ‘old stories’ which might have come up copiously under the first half (Epimethean phase of the M-r phase) turn into new inventive ideas and inspiration (‘Promethean’ second half of the M-r phase). A ‘New Mercury’ is born, and a new Mercury cycles starts (3 times per year), on the ‘Day of Enlightening Insight’. What have you learned and come to see and understand, since the last New Moon and onset of Mercury retro (May 17 / 18), about your mind (esp. when things didn’t go according to ‘plan’, and ‘mishaps’ happened)? What about all of this are ‘old stories’ and inner self talk when the mind takes over and takes you for a ride? What does Consciousness (maybe mediated by ‘higher’, and detached mind) say to all of this? Any new insights, based on what has come up to process mentally – and perhaps this weekend (May 30 / 31) under the SCO Moon also emotionally, and connected the dots in a new way? How can Spirit go back into the ‘driver’s seat’ (not that there is or ever has been any ‘separation from Spirit’)? Mercury will turn around, from Earth perspective, and go direct / forward again. Seems like a ‘sigh of relief’? Mercury retro is ‘over’! But actually it’s more about integrating the insights gained under M-r and bringing them into the ‘regular’ mode. Since this present Mercury retro happens completely in GEM journalling about the awareness of ‘old-to-new’ would be a great tool, esp. in this second half of M-r, but again: don’t get carried away by ‘mind’ and see what Spirit is saying through you. the awareness of ‘old-to-new’ would be a great tool, esp. in this second half of M-r, but again: don’t get carried away by ‘mind’ and see what Spirit is saying through you.